Confirm in writing if you can, but via phone is OK too. When you land a job interview, it's time to pull out all the stops to show the hiring managers you're the best person for the job, while riding the fine line between persistent and annoying. If you get an offer for a job interview via email or written correspondence, you'll need to send a note back to confirm the details. The letter should be short and to the point; save your energy and don't include a lot of details about your qualifications -- you can wow the interviewers with those details on the big day. Start off the letter by addressing the hiring managers by name, using formal titles or "Ms." or "Mr." to maintain a level of formality. Thank the person for the opportunity to interview at the company. Show a little enthusiasm, but don't gush. In the thank-you sentence, also state the job for which you are applying. After thanking the hiring manager for the interview, dive into the details of the interview. You could start out by saying "This letter is to confirm a job interview," and then state the date and time of the interview. Also mention the location of the interview and the people with whom you will interview. If the interviewer has instructed you to bring certain items, such as a portfolio or work samples, mention that you plan to do so. 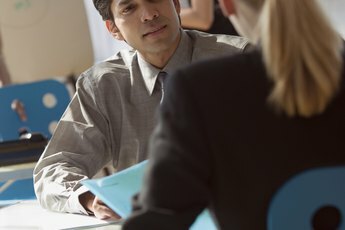 If you're in a field that routinely requires portfolios or work samples during the interview phase and you haven't been asked to bring them, it's OK to inquire about them in this section. Say you'd be happy to bring your work samples or other materials and then ask the addressee to let you know exactly what to bring. Finish up the letter by thanking the person again, and signing off cordially. Another way to confirm your interview time and to make that final connection before the interview is to simply call the person with whom you're interviewing or to call her secretary to confirm the appointment. If you do choose to do the letter, keep it short and simple. 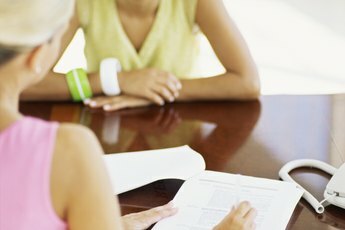 It's probably a waste of time to restate information about why you're great for the job -- that might be considered overkill, since the hiring managers probably already have access to your resume, cover letter and any work samples you provided, advises reCareered.com. reCareered: Should I Send Pre-Interview Letters & Resume To Each Interviewer?